Head over to Target.com is offering 30% off LOTS of select bedding & bath items online only. This is thru today only 12/19. There’s many different items to choose from, including comforters, quilts, pillows and more so take a good look around to see what deals you can find. Just go HERE to get started and no code is needed, prices are as marked. 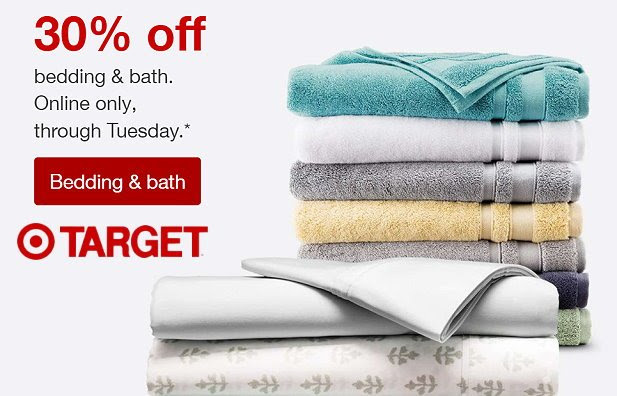 Plus, right now shipping is FREE on Target.com right now for everyone, with no minimum! And as always, if you have a REDcard you will also get an additional 5% Off.